Easily digestible protein source for your dog with food sensitivities. Some dogs are prone to digestive upsets and it’s often due to the protein source. 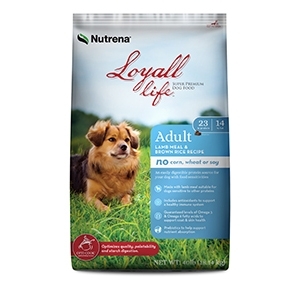 Loyall Life Lamb Meal and Rice provides an easily digestible balance of protein and carbohydrates. Available in 20lb and 40lb bag.